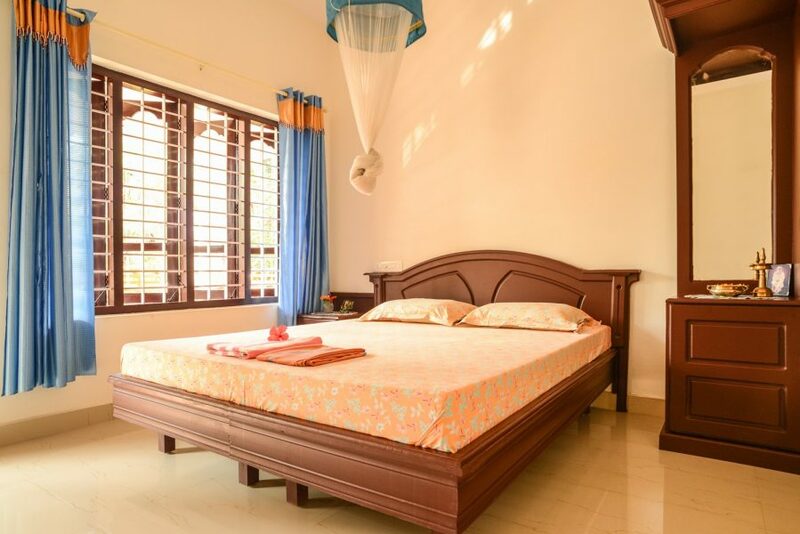 Our two houses with a total of ten rooms are very clean and comfortable. 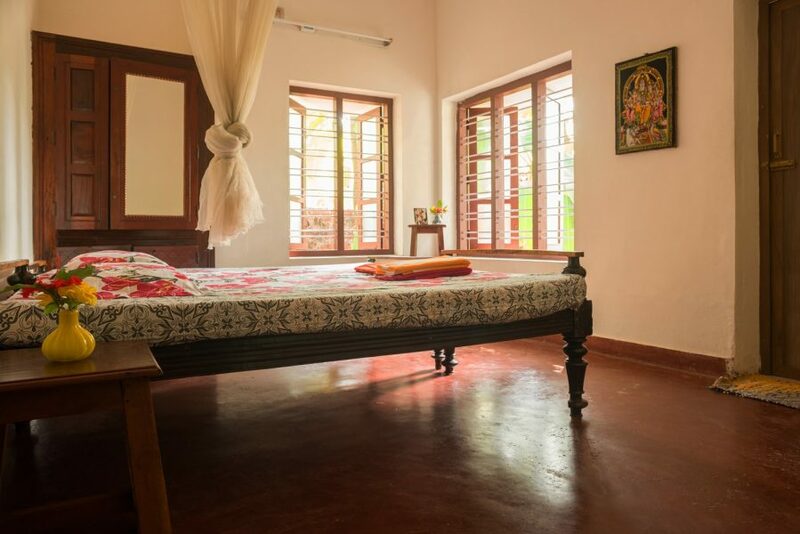 One is a charming, old style Keralan home, very cosy. The other one is a new build Keralan-style house. All rooms are private, unless you bring a friend to share the room with. They are quiet, have mosquito nets, and ensuite bathrooms. The rooms are allocated on a "first come first served" basis. You will love the friendliness and kindness of our staff, who prepare delicious meals and keep the rooms and gardens in excellent condition, for you to find peace and tranquility! 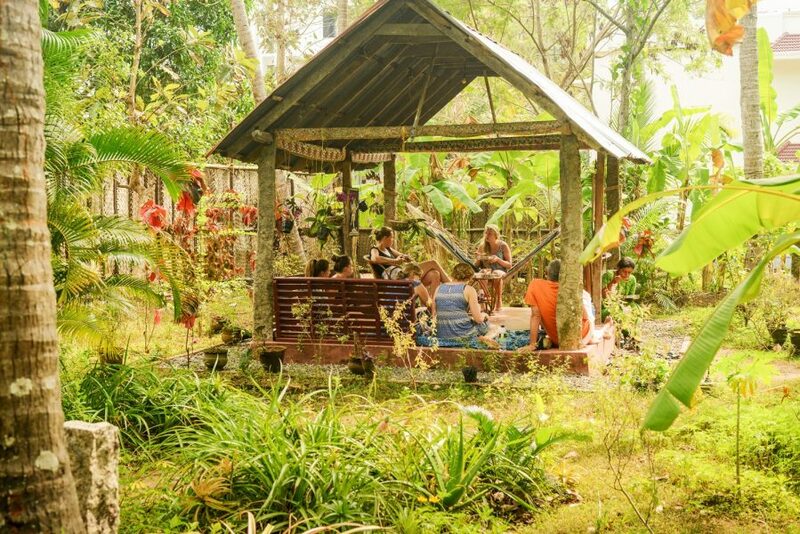 Sharanagati Yogahaus is set in a beautiful, luscious, very natural and spacious garden, an exclusive sanctuary in which to relax in the shade, and completely unwind. 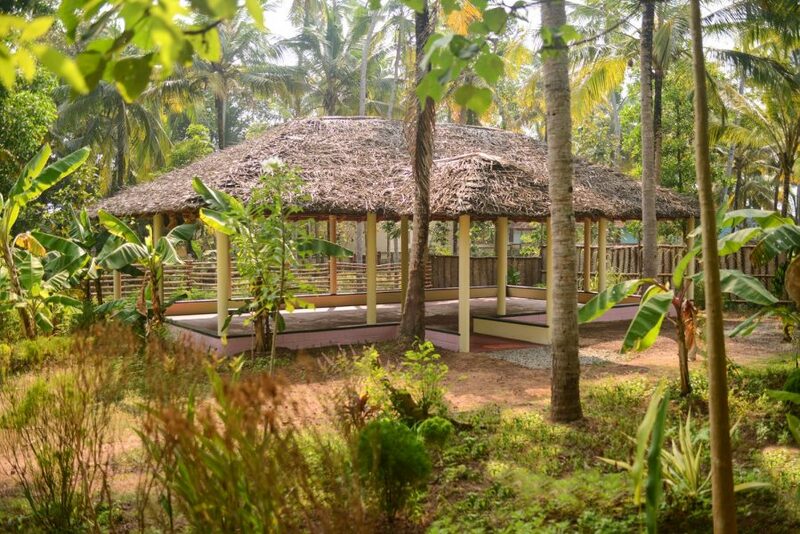 This is an ideal place for you to spend a relaxing Yoga Vacation. Banana, papaya and mango trees grow here, and their fruits are eaten at breakfast when in season. There are a vast variety of birds and butterflies visiting us daily. All kinds of other animals have found a wonderful playground and enchant us with their cute presence. There are many cosy corners, for you to just BE. Relaxing in a hammock for a little nap, reading a good book, or finding a quiet spot for your-self to meditate. Our tea house has become a popular place to be with other students, for a cup of tea, fun and laughter, and many interesting conversations!